Answer: By waiting to welcome the Lord’s return, we have all made the same mistake. We are only waiting for the Lord’s return based on the prophecies of His descent upon a cloud, but we have overlooked other prophecies about the Lord’s return. This is a grave mistake! Many parts of the Bible contain prophecies about the Lord’s return. For example, the Lord's prophecies: “Behold, I come as a thief” (Rev 16:15). “And at midnight there was a cry made, Behold, the bridegroom comes; go you out to meet him” (Mat 25:6). “Behold, I stand at the door, and knock: if any man hear my voice, and open the door, I will come in to him, and will sup with him, and he with me” (Rev 3:20). “For as the lightning, that lightens out of the one part under heaven, shines to the other part under heaven; so shall also the Son of man be in his day. But first must he suffer many things, and be rejected of this generation” (Luk 17:24-25). These prophecies mention the Lord’s returning “as a thief,” the coming of the Son of man; and they mention that He speaks to people while knocking at the door, and so on. Doesn't this show that when it comes to the Lord’s return, besides His public descent upon a cloud, He also will descend in secret ways? If we believe the Lord will only come by descending upon a cloud, then how could the prophecies of Him coming in secret be fulfilled? Think about it. When the Lord descends on a cloud, there will be a number of great portents. The sun and moon will no longer shine, the stars will fall from the sky, and heaven and earth will shake. That will certainly be an earth-shaking scene, and everyone will definitely see it, and know about it. Then how will the prophecies be fulfilled that the Lord will come “as a thief”, and that He will stand outside knocking on the door? When the Lord descends on a cloud, everyone will see it. Will anyone need to testify: “The bridegroom comes; go you out to meet him”? The Lord also said: “But first must he suffer many things, and be rejected of this generation.” How will that prophecy be fulfilled? Besides, There are also multiple prophecies in the Bible that when the Lord returns in the last days, He will complete some work. For example, the work of judgment will start with the house of God. He will open the scroll and break its seven seals, and there’s also the harvesting and the winnowing, and the work of separating people according to their kind, such as separating the sheep from the goats, the wheat from the tares, the good servants from the evil servants. 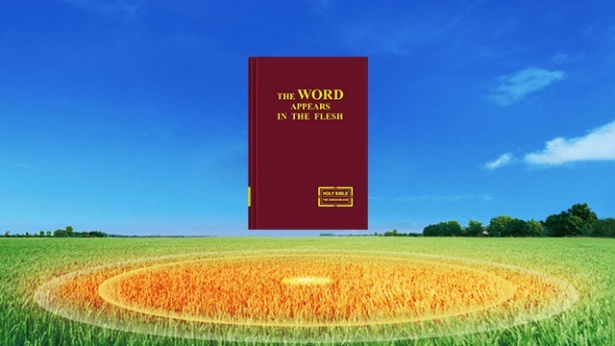 If the Lord comes in great glory, descending on a white cloud and everyone sees it, that would definitely be the spiritual body of the Lord Jesus resurrected appearing to all of mankind, so wouldn't everyone fall to the ground and obey and follow Him? Who would resist Him? That way, how would the sheep and the goats, and the good servants and the evil servants be differentiated? How would the work of harvesting and winnowing be done? There are many prophecies in the Bible about the Lord's return in the last days. If we cast aside the other prophecies, but just delimit the way the Lord will return based on one or two parts of the Bible as Him descending on a white cloud, isn’t that a little arbitrary? That way we would be likely to miss the chance to welcome His return, and likely to be rejected by Him. The Bible prophesied that the Lord would come “as a thief,” “And at midnight there was a cry made, Behold, the bridegroom comes; go you out to meet him” (Mat 25:6). “But first must he suffer many things, and be rejected of this generation” (Luk 17:25). The appearance and work of Almighty God have fulfilled these prophecies. From the outside, He looks just like a regular person. He speaks from within normal humanity. Who could imagine that He is the appearance and the work of the Lord? This does fulfill the prophecy of the Lord's return “as a thief.” “If therefore you shall not watch, I will come on you as a thief” (Rev 3:3). This prophecy refers to Almighty God's appearance and work suddenly spreading to every sect and denomination, just like a thief—no one could have realized it. His preachers bear witness to His words to all those who seek God’s appearance, and they patiently fellowship on Almighty God’s words. This is the Lord knocking at the door. Since Almighty God’s appearance and work, He has been continually subjected to the brutal hunts and persecution of the Chinese government, and He has suffered the mad resistance, condemnation, and rejection of the religious world. There have even been many evil spirits and demons who have openly attacked, condemned, and blasphemed Almighty God online. 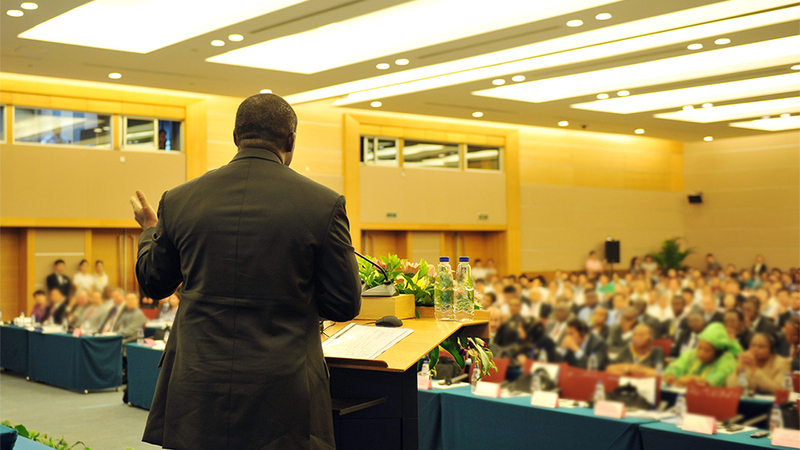 This completely fulfills this prophecy spoken by the Lord: “But first must he suffer many things, and be rejected of this generation.” If the Lord had descended publicly on a cloud like people imagine, then the tares, the goats, the evil servants, and the antichrists would definitely fall down in worship to accept Almighty God. How would they be exposed then? I'm afraid that even the CCP demons and all the unbelievers would also accept Almighty God. Wouldn't that just be utter chaos in the world? How would God's work in the last days be carried out? So only if God is incarnated as the Son of man to appear and work can these prophecies spoken by the Lord Jesus, including those of the Lord’s work after His return in the last days, be fulfilled, be completed. Almighty God has come and expressed all truths to purify and save mankind, and He is doing the work of judgment in the last days. His sheep listen to His voice, and wise virgins from every sect and denomination hear the words Almighty God has expressed and know them to be the truth, to be God’s voice, and they have all turned toward Almighty God. This is the rapture. These people have been raptured up in front of God’s throne, and undergo judgment and chastisement before Christ’s judgment seat. They are first to be purified, made into overcomers by God, and become the first fruits. This fulfills this prophecy from Revelation: “These are they which were not defiled with women; for they are virgins. These are they which follow the Lamb wherever he goes. These were redeemed from among men, being the first fruits to God and to the Lamb. And in their mouth was found no guile: for they are without fault before the throne of God” (Rev 14:4-5). After God descends in secret and makes this group of overcomers, His great work will be complete. After that, He will descend on a cloud and openly appear to all nations, to all peoples. That is when the great events of the Lord’s return that you talk about will occur, and that will fulfill the prophecy in Revelation: “Behold, he comes with clouds; and every eye shall see him, and they also which pierced him: and all kindreds of the earth shall wail because of him” (Rev 1:7). This will be the scene of the Lord openly descending on a cloud, and all eyes will be able to see Him. Even some of those who resisted and condemned Almighty God will be able to see Him descending on a cloud, which is why “all kindreds of the earth shall wail because of him.” The prophecies of the Lord’s return have basically all been fulfilled now. The only one left is the prophecies that He will openly descend on a cloud after the disaster. Almighty God says, “Many people may not care what I say, but I still want to tell every so-called saint who follows Jesus that, when you see Jesus descend from the heaven upon a white cloud with your own eyes, this will be the public appearance of the Sun of righteousness. Perhaps that will be a time of great excitement for you, yet you should know that the time when you witness Jesus descend from the heaven is also the time when you go down to hell to be punished. It will herald the end of God's management plan, and will be when God rewards the good and punishes the wicked. For the judgment of God will have ended before man sees signs, when there is only the expression of truth. Those who accept the truth and do not seek signs, and thus have been purified, shall have returned before the throne of God and entered the Creator's embrace. Only those who persist in the belief that 'The Jesus who does not ride upon a white cloud is a false Christ' shall be subjected to everlasting punishment, for they only believe in the Jesus who exhibits signs, but do not acknowledge the Jesus who proclaims severe judgment and releases the true way of life. And so it can only be that Jesus deals with them when He openly returns upon a white cloud. They are too stubborn, too confident in themselves, too arrogant. How could such degenerates be rewarded by Jesus? The return of Jesus is a great salvation for those who are capable of accepting the truth, but for those who are unable to accept the truth it is a sign of condemnation. You should choose your own path, and should not blaspheme against the Holy Spirit and reject the truth. You should not be an ignorant and arrogant person, but someone who obeys the guidance of the Holy Spirit and longs for and seeks the truth; only in this way will you benefit” (“When You Behold the Spiritual Body of Jesus Will Be When God Has Made Anew Heaven and Earth” in The Word Appears in the Flesh). Previous：Question 4: If we accept Almighty God’s work in the last days, how should we then seek to receive the way of everlasting life? Next：Question 2: We have long heard that the Church of Almighty God has already testified to the return of the Lord Jesus. And He is Almighty God! 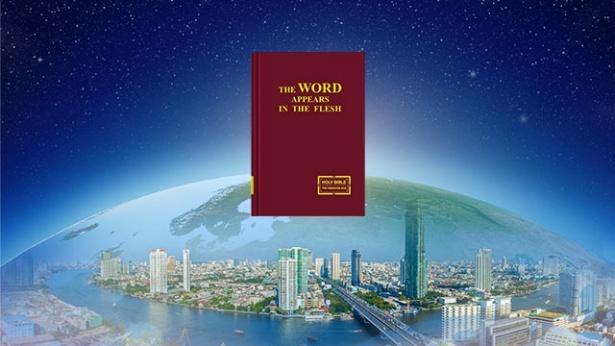 He expresses truths and performs His judgment work of the last days, but the majority of people in religious circles all believe that the Lord will return by descending with the clouds. This is because the Lord Jesus clearly said: “And then shall appear the sign of the Son of man in heaven: and then shall all the tribes of the earth mourn, and they shall see the Son of man coming in the clouds of heaven with power and great glory” (Mat 24:30). The Book of Revelation also prophesied: “Behold, he comes with clouds; and every eye shall see him, and they also which pierced him: and all kindreds of the earth shall wail because of him” (Rev 1:7). I also maintain the belief that the Lord will return by descending with the clouds to directly take us up into the kingdom of heaven. We refuse to accept the Lord Jesus who does not descend with the clouds. You say that the Lord's return is returning to the flesh and descending in secret. But nobody knows about this. However, the Lord openly descending with the clouds is absolute! That's why we are waiting for the Lord to descend with the clouds and appear openly to take us directly up into the kingdom of heaven. Is our understanding correct or not?